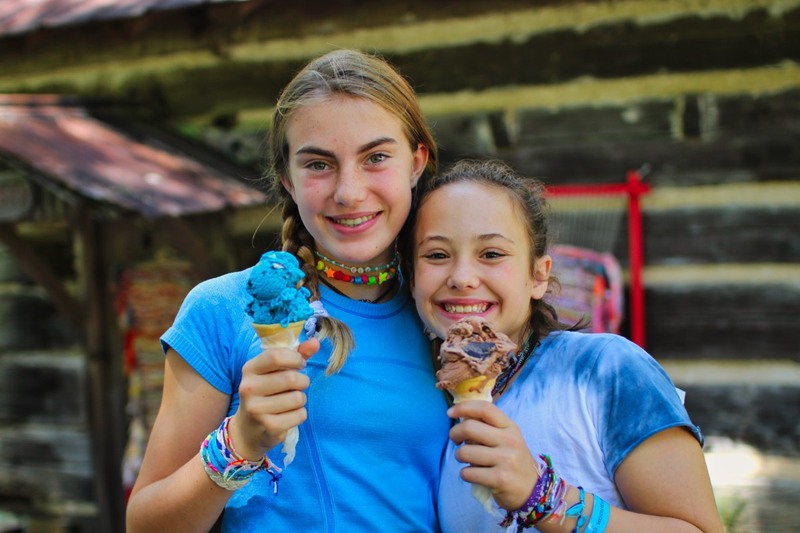 There's always a lot happening at a sleepaway camp like Rockbrook, and this blog is the way to keep up with it all. 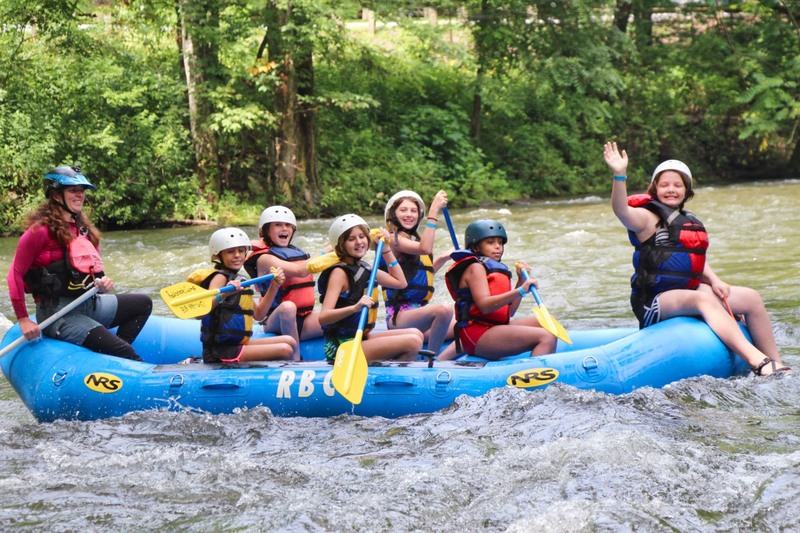 We regularly post news updates, photos of camp happenings, reports of special camper events, and Rockbrook surprises about it's program, campers and staff. 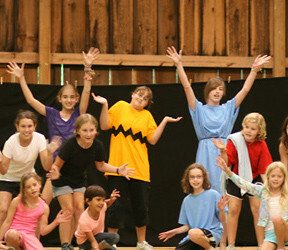 The best way to receive all of this news about our sleepaway camp is to subscribe, either by email or RSS. Every camp news blog post is published via these services. Stay up to date about everything Rockbrook, and subscribe! It’s hard to believe it, but our 2018 summer season has come to a close. After our glorious though short time together, it’s now time for everyone at camp, all these great girls, to say farewell to Rockbrook for another year. It’s really been an amazing summer, one that I think everyone will remember fondly. We could try to measure it by counting rounds of ammunition shot at riflery, pounds of clay shaped into pottery vessels, or muffins consumed during our mid-morning break. But adding up the materials of camp seems superfluous. 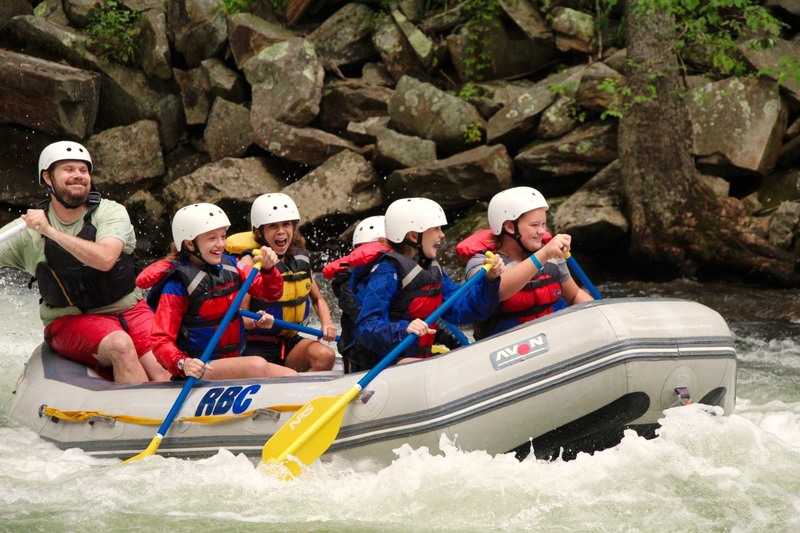 We could look at the Mermaid laps swum in the lake, horses ridden, or trips down the Nantahala River rafting, but that too would be an inadequate measure. 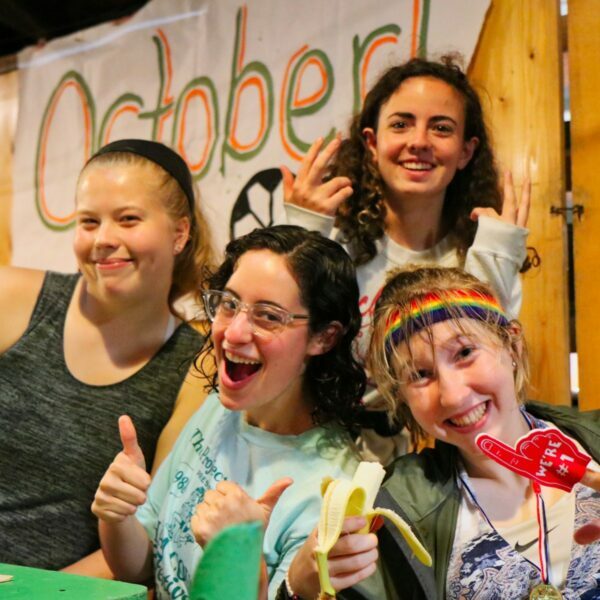 Looking at all the friendship bracelets tied on wrists, or the songs sung in the dining hall together, or the skits performed as cabin groups, gets us a little closer because they represent the friendships formed and strengthened while at camp. 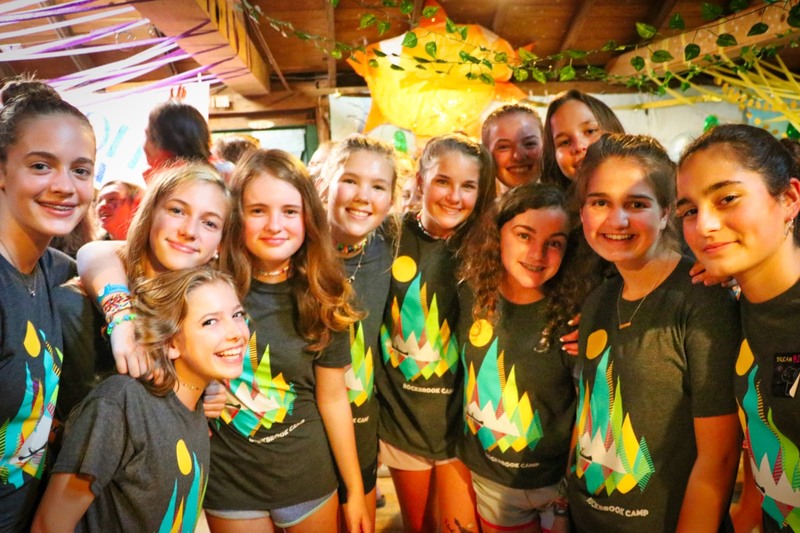 It might be tempting to list special events— the exuberance of the shaving cream fight, the support and talent performed in the “Wizard of Oz” production, or the joyful celebration of the “Expedition Earth” banquet. 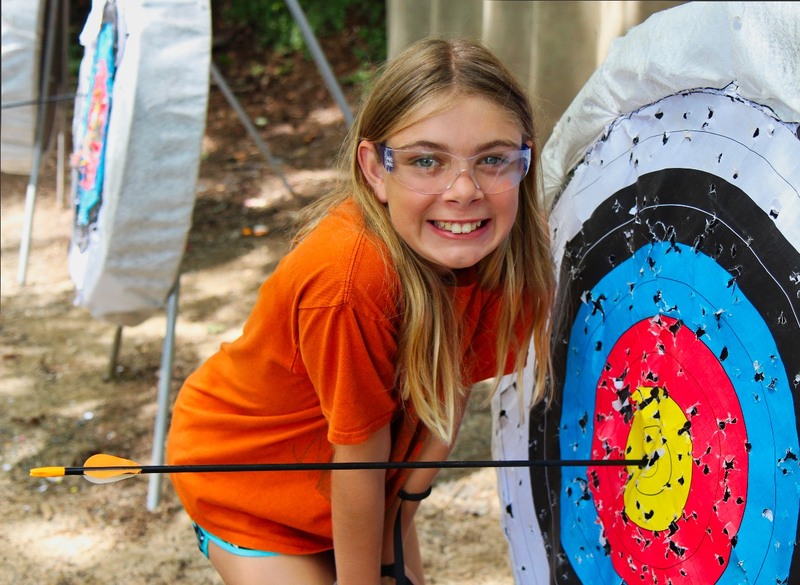 We could point to accomplishments like being in the bullseye club for archery, winning the mop award, or climbing all three sides of the Alpine Tower. Camp could be understood as a success for all these reasons too, but there’s a deeper sense that we’ve all experienced something very special this summer. All of these details are part of the answer, but I think the campers and staff members alike will mostly remember their camp days this summer by how they felt while here. It’s not what we did each day, but how we felt while doing it that has made this summer special. It simply felt really good to be this active outside each day. It was a relief to find all these great girls who immediately accepted and encouraged our true selves. We felt more confident and competent with each daily moment of success. We felt truly connected to the people around us. We felt happy exploring the creative, sporty and silly sides of our personality. We experienced moments of pristine beauty and wonder in this lovely natural environment. We reveled in the constant current of friendship that buoyed everything at camp. Away from the habits of home, absent the pressures of school, given meaningful freedom, our camp days were inherently satisfying, rich with opportunities for new experience. Our camp life this summer was amazing for all these reasons. So as we say farewell to camp for now, we’re sad to leave our friends and the good feelings that energized our days. We’re sad that the special way we feel at camp has to end until we can return next year. Meanwhile, we can be thankful. 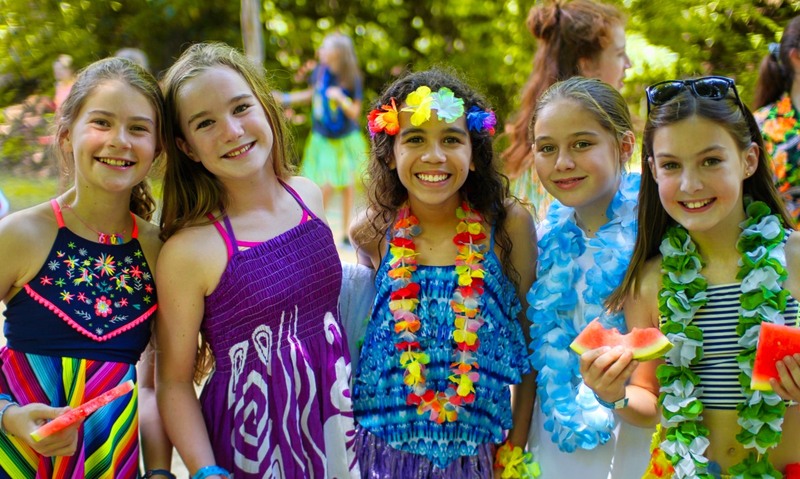 Thanks to everyone for being the great girls of Rockbrook, contributing your love, energy and care to making camp life this wonderful. Thanks to everyone! Here is the latest highlights video from Robbie Francis of Go Swan Filmworks. Robbie spent last Saturday filming, quietly capturing simple moments of life at camp, and now editing for us another of his wonderful short videos. Watching these videos really is fascinating, and they deserve multiple viewings. We love how well they convey the sweet interactions between the girls, and the overall happiness that colors our days together here. Take a look. You’ll see what I mean. Hey is that sunshine? It sure is! Late this morning, the last bit of drizzle and cloud cover broke up to reveal gorgeous blue skies and (finally!) a bright warm sun. It felt like a celebration. The girls poured out into the sunshine, eager to get back to their outdoor activities. The lake soon had girls swimming, wading and floating about, the Alpine Tower saw girls climbing and doing tricks on the rope when lowered down, and the tennis courts filled with girls smacking forehands and backhands. I have a hunch that every towel in the camp is wet or at least damp at this point, but now we can begin to dry things out in the sun. Plus it will only be a couple of days before the laundry goes out. Thankfully! Another exciting celebration surprised the girls right after lunch: the arrival of the Dolly’s Trolley and what we call the “Biltmore Train.” In past years, this tradition of an outdoor ice cream extravaganza, where the girls can have multiple scoops of ice cream, involved our counselors hand dipping the cones, but now that our favorite ice cream shop has a truck, we thought it would be a special treat to have the trolley come to camp and serve a few of the delicious Dolly’s flavors (like “Rockbrook Chocolate Illusion” of course). 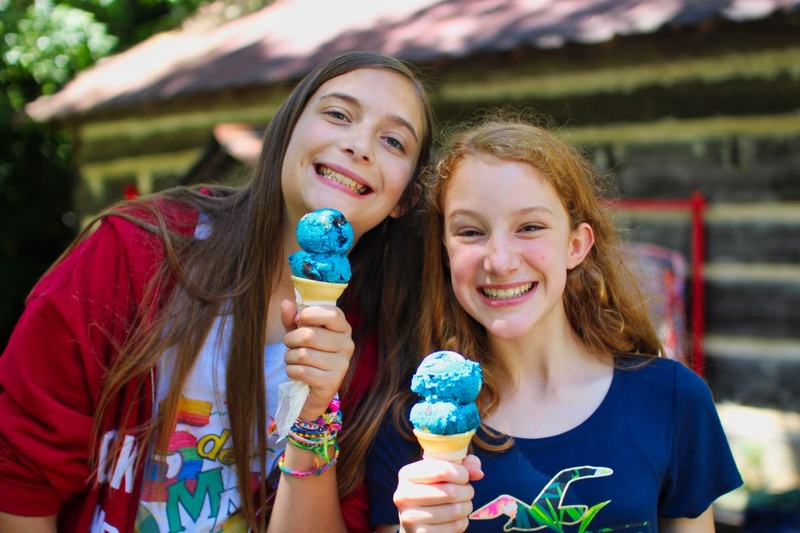 Part of the fun of the Biltmore Train, is the train of campers it creates as the girls get back in line for a second, even third scoop, assuming their cone remains (mostly) intact. The girls eat their ice cream, retaining as much of the cone as possible, and then join the end of the train to receive another scoop. Eventually, the cone disintegrates, creating a natural end to the refills. 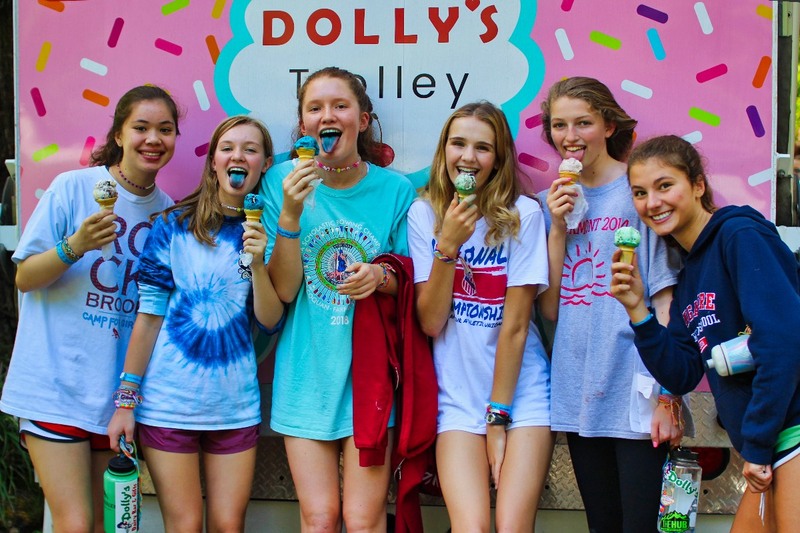 As the girls made their way back to the window for another scoop, it was fun for them to try a new flavor, and since it was Dolly’s ice cream and they were enjoying it with their cabin mates on the sunny Rockbrook hill, this was the best Biltmore Train ever. 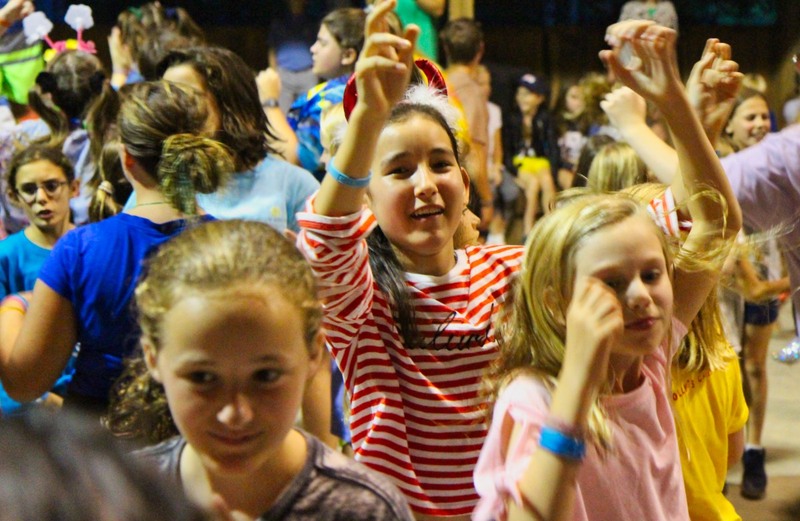 After dinner, a few counselors announced that during “twilight,” the period of free time before evening program starts, they would be having a dance party in the gym— an impromptu, all-girl dance. Like all announced twilight activities (there’s a different one every night), this was optional to attend, but there must be some pent-up dance energy around here, because almost the whole camp ran down to the gym ready to dance. It seemed like everything in the camp came to a stop so we could all jump around and sing to a few songs. It lasted only about an hour, but was a great expression of exuberance and community joy… So fun and exciting for the girls. You couldn’t help but smile to see it! 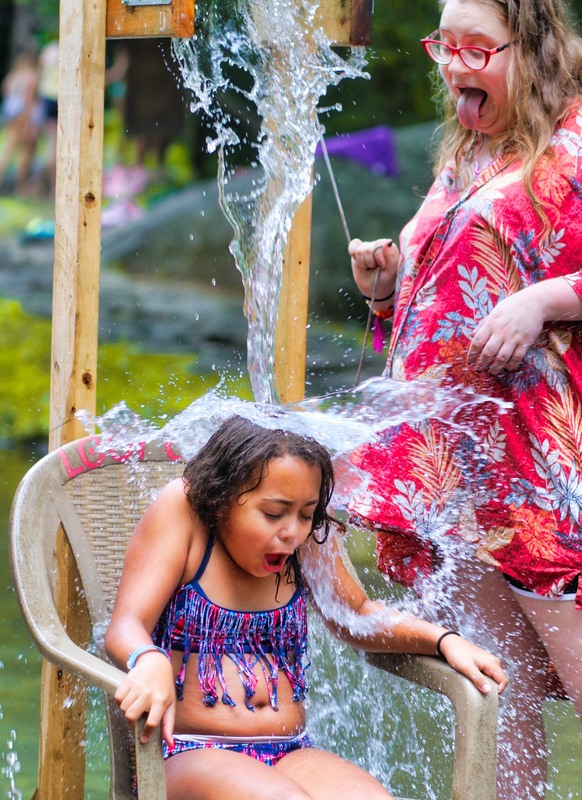 Finally, I want to pass along an article that was recently published in the New York Post by Eric Spitznagel, “What your kid needs to learn at summer camp.” Here’s a link to it. And here’s a hint; they don’t need to learn “career-path skills” that will “give them a competitive edge” back at school. 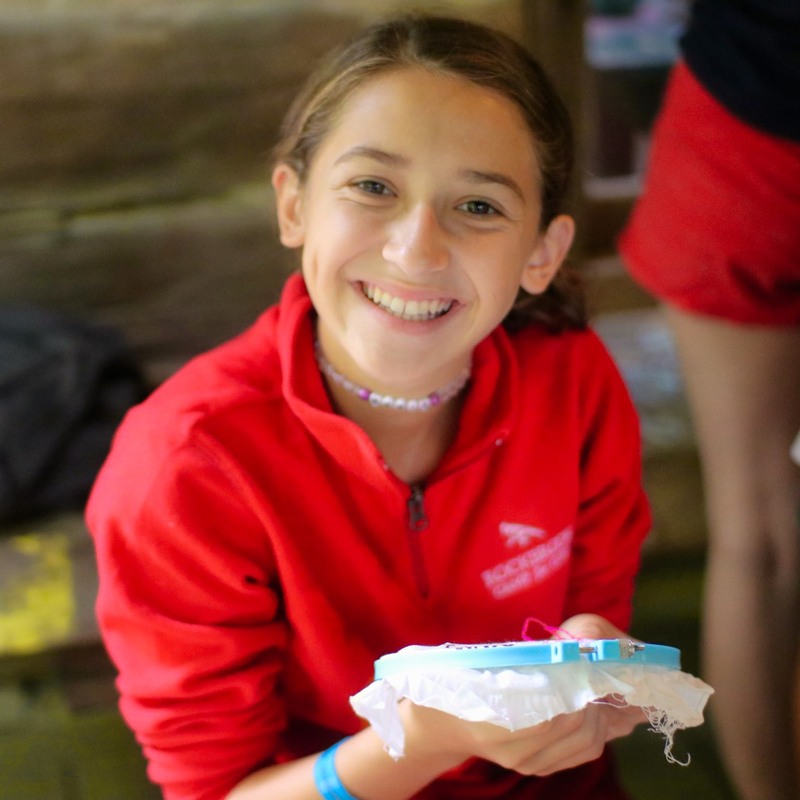 The article claims kids benefit most, not from a specialty camp like a “STEM Camp,” but from a traditional summer camp experience, like what Rockbrook provides your girls. The gains here are more fundamental. 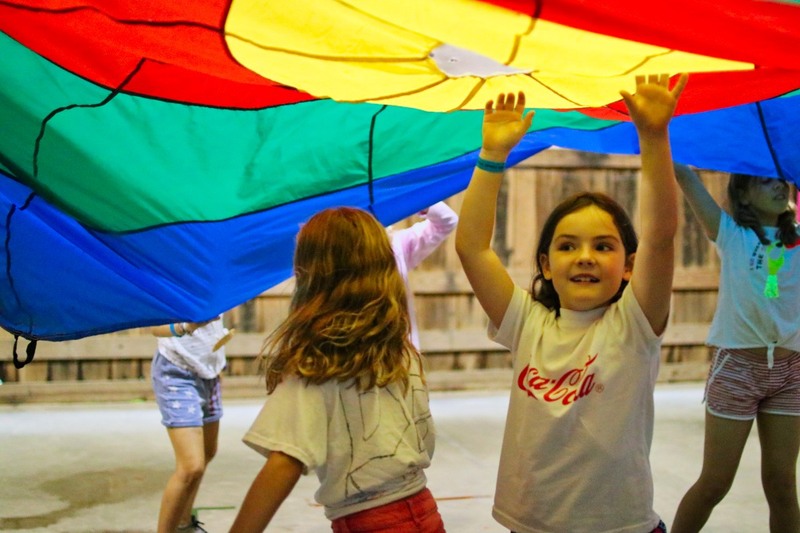 A traditional camp teaches children core “building blocks for lifelong resilience.” It encourages campers to develop aspects of their character, in particular those that define their relationships with other people. As I’ve put it before, “camp is about heart.” The article provides a few interesting examples of how a traditional camp experience can have a profound effect on a young person. We’ve seen it many times over at Rockbrook, so it’s nice to read this kind of endorsement. Flooding can be a problem in our area as it turns fields lining the French Broad River into expansive lakes, but for Rockbrook only a portion of our horse pasture land is at risk since most of camp is far up the hill from the river. This much rain does swell our creeks and creates much more dramatic waterfalls (like this video of “Stick Biscuit Falls” behind the office shows), but we have an elaborate system of underground culverts and spillways that carry rainwater strategically under, through and around the camp, keeping everything intact despite the rushing runoff. With only a few exceptions (swimming, e.g. ), our activities at camp have carried on nicely in spite of the rain. 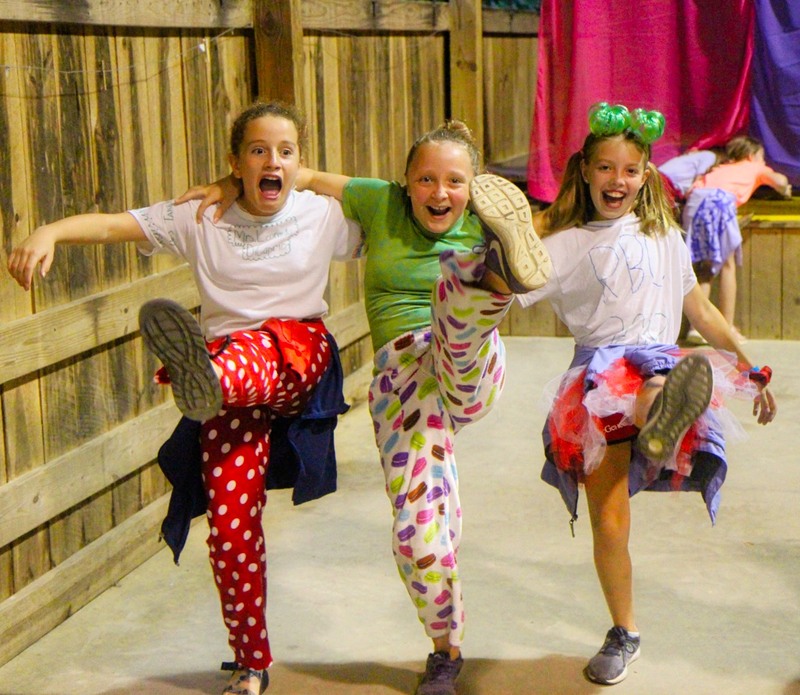 With so much covered space— our gym, dining hall, activity cabins, stone lodges, porches, barn and arena —we can easily stay out of the rain and still have fun together. All of the craft activities, for example, didn’t even skip a beat today. The potter’s wheels kept spinning, the looms clicked back and forth, and the brushes applied paint and inks to paper in the drawing classes. Yoga, Drama, and Dance all met in their usual buildings. Also today, several outdoor trips went out for a (little more wet than usual) adventure. 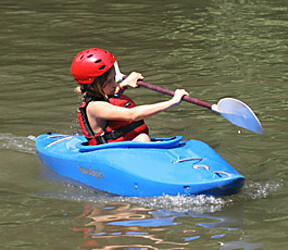 The kayakers got out on the Tuckasegee. A big group of Middlers and Seniors took a backpacking trip to an area near John Rock in the Pisgah Forest. And we still ran girls through our zipline course despite the consistent drizzle and periods of rain. Did we get wet? Sure did. Did it ruin any of the trips? Nope. In fact, zipping through the trees in the rain made the ride feel, if anything, a little edgier and more exciting. The gym became a particularly fun place to be. 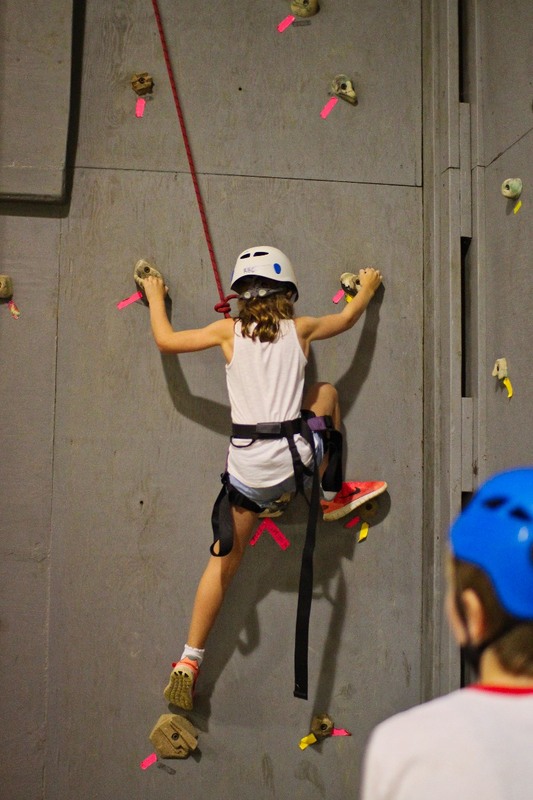 The Alpine Tower climbers moved inside to the climbing wall to give some of its short, but challenging routes a go. Meanwhile, the gymnastics staff worked on cartwheels with the girls on the other end of the gym, and on the main gym floor, a massive, fun game of dodgeball whipped up. At another point, the counselors pulled out the parachute to play a game where campers would run under it when it was lifted in the air. Another gym game involved pool noodles used as hockey sticks, easily inspiring the girls to race around the gym after a ball. 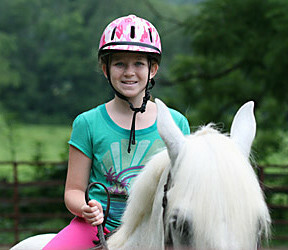 The girls were particularly happy that their time horseback riding wasn’t cancelled because of the rain. 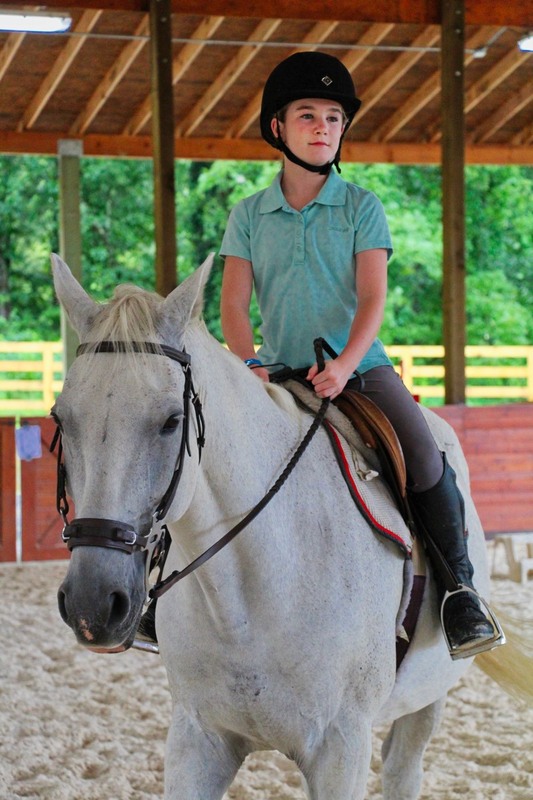 With our new covered riding arena, everyone’s riding lessons could go on as planned. 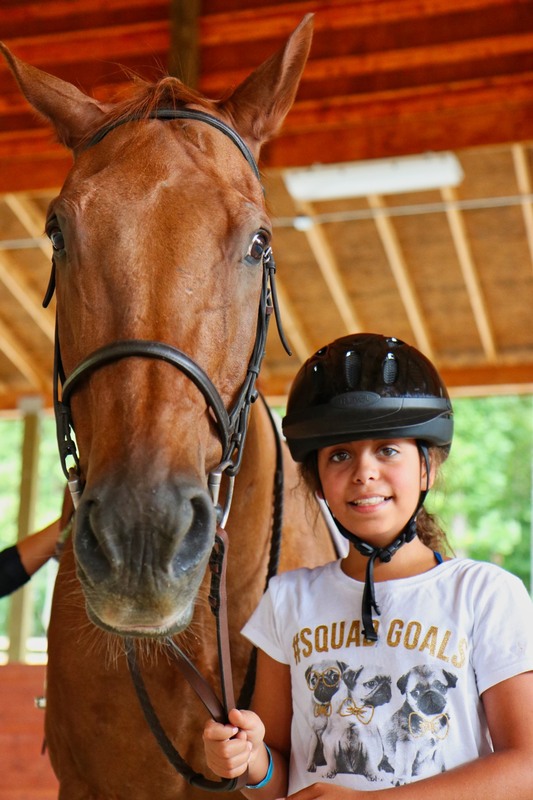 The arena is positioned right next to the new barn, so it’s possible to tack up your horse and walk him directly out of the barn and into the arena without ever getting wet. And no mud too! That’s really nice. All of this is to say, we are having plenty of fun here at camp, “even in the rainy weather,” as the Rockbrook song says. The girls are extraordinarily resilient in the face of being a little wet, a little muddy, and a little cool most of the day. They happily want to carry on with what we’re here to do— to play together as great friends, to create, to feel a part of a caring, kind community, and to learn and grow by enjoying this beautiful place. Rain or shine, that’s what’s going to happen! It was a great delight today to welcome our August Mini session campers to Rockbrook. The bright, sunny weather matched the mood of the morning perfectly as the girls and their families arrived. The mob of enthusiastic counselors, all dressed in their red staff shirts, waited eagerly on the hill and literally jumped, arms waving, when a camper in their cabin was announced as arriving. The whole morning was festive and fun, and seemed to unfold without a hitch. Out of the 75 campers arriving (now a full house! ), 25 are new with this being their first session at Rockbrook. 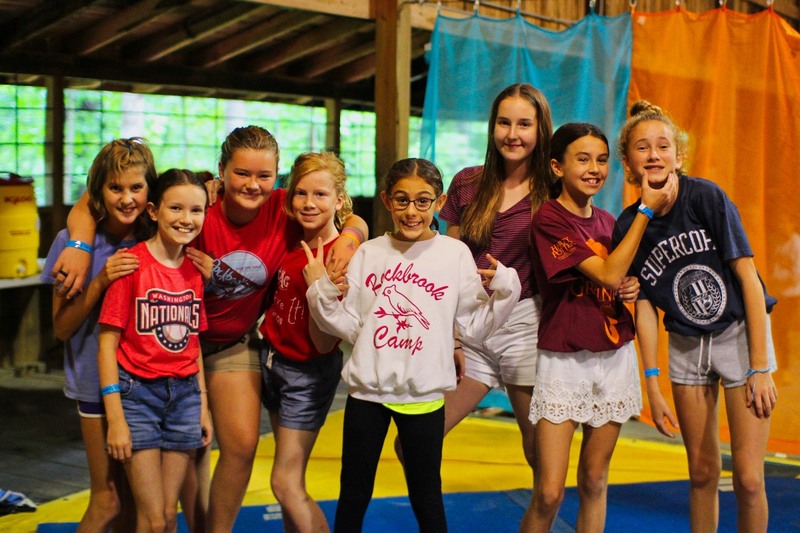 It took no time for the current full session girls to show their welcoming spirit as groups began forming to rotate through a few choice activities and explore different areas of the camp property. That upbeat mood carried right into the all-camp assembly on the hill we held before lunch. Sarah and the other directors led several camp songs, introduced key members of the staff, and reminded everyone about a few safety protocols (what to do when our Thorguard lightning prediction system sounds its alarm, for example). The girls particularly enjoyed meeting Felix the camp dog, our 1-year old Australian Labradoodle. You might call him an instant celebrity. Lunch was tray after tray of Rick’s homemade mac-n-cheese, paired with an amazing fresh kale and carrot salad, and grapes. Hot and cheesy, it was delicious comfort food for an opening day. The afternoon event of the day brought us all together for a Polynesian Luau, lake party of games, snacks, crafts, music and dancing. The Hi-Ups (our 10th graders) along with many of the full session senior girls helped staff the dozen or so different stations where the younger campers could enjoy an activity. This added responsibility boosted their interest and made it easy for the different age groups to interact during the event. More fun for everyone. Naturally, it’s not a Rockbrook party without costumes and dressing up. Everyone got that message because you’ve never seen so many Hawaiian shirts, lei necklaces and grass skirts. Combined with the face painting and the girls’ swimsuits, this was an extraordinarily colorful event. There were games to try: a balloon toss, a version of bowling that used real coconuts to knock over empty cans, a softball tossing game like skee-ball, corn hole, and a “fishing game” for the youngest girls that won fun RBC prizes like sunglasses, stickers, patches and jump ropes. Beach balls, hula hoops, and a giant limbo line kept everyone moving, and with fun beach music pumping, several spontaneous dance parties popped up now and then. The event that seemed most popular was the “bucket dunk” set up at the edge of the lake. This odd contraption has one purpose— to dump the contents of a bucket (in this case, water scooped from the lake) onto the head of someone sitting below when a string is pulled. 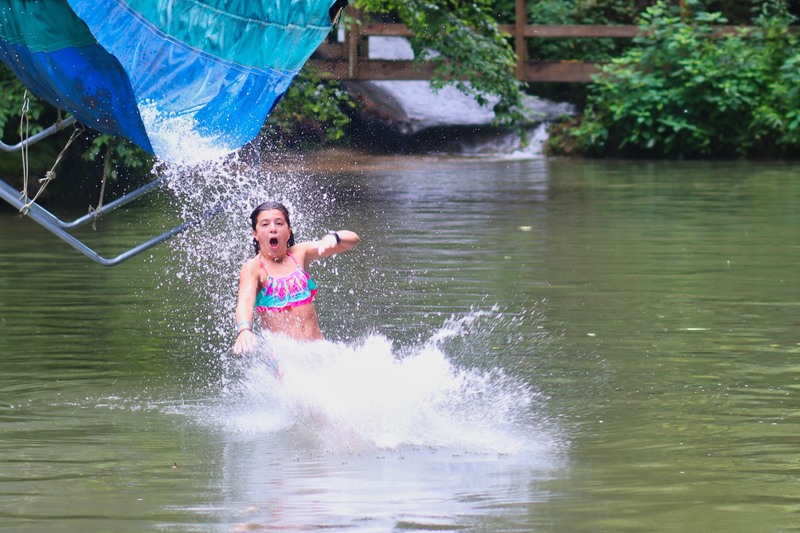 The girls thought it was hilarious to soak their friends, and there were plenty of volunteers, campers and staff members alike, to both pull the string or to be “dunked.” Simple, super-campy, cheer-inducing fun. Meanwhile the more crafty girls could make “grass” skirts from colorful ribbons and streamers, or learn to tie tissue paper into flowers to decorate headbands and bracelets. 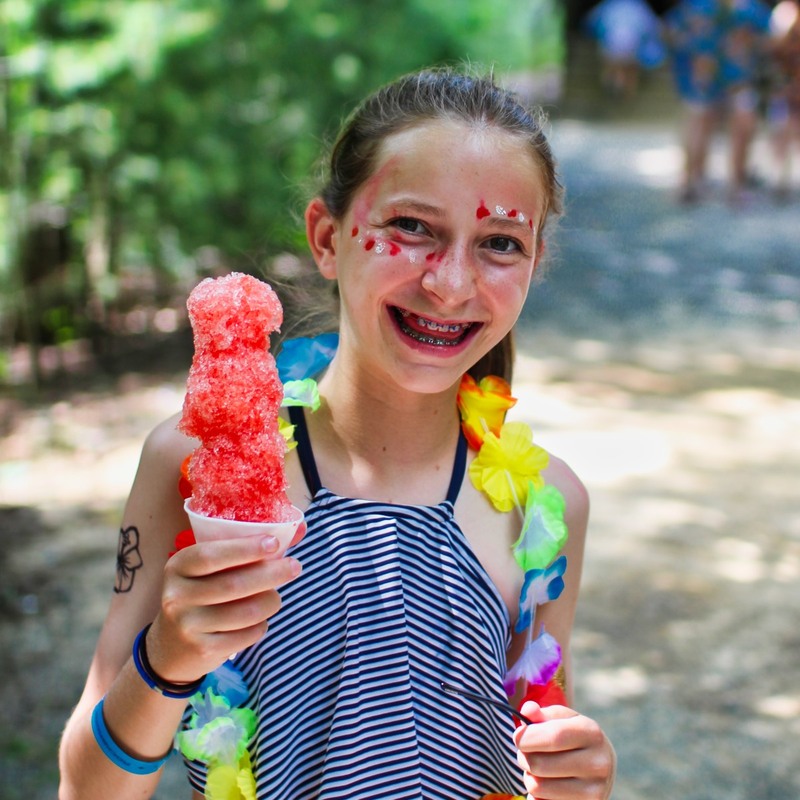 To stay hydrated and fueled up, there was fresh watermelon for snacking and plenty of snow cones (including some crazy ones!) to go around. Be sure to login to your parent account for an entire photo gallery of the event. I think you’ll enjoy seeing how much fun we had. What a great way to kick off the session! These girls are ready for camp. 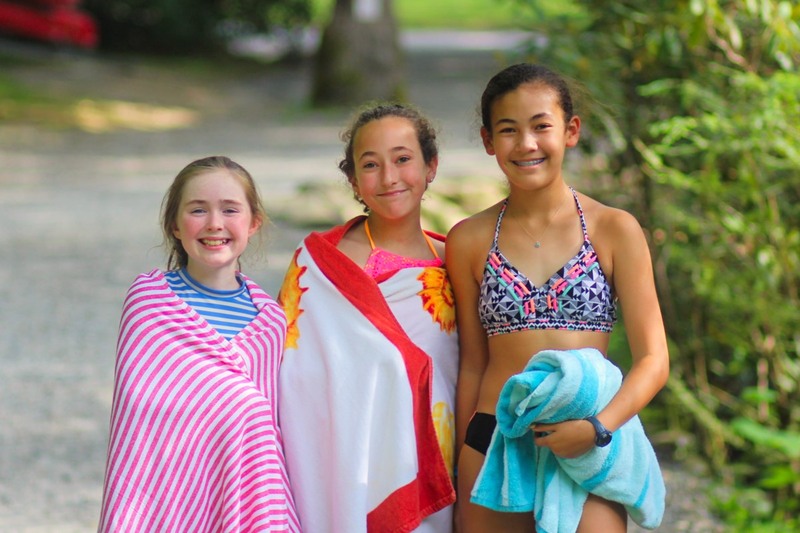 Robbie Francis of Go Swan Filmworks spent a day at Rockbrook this week filming little moments of camp life and editing them to make a short video for us. You may recall the wonderful videos of camp he has made the last few summers. 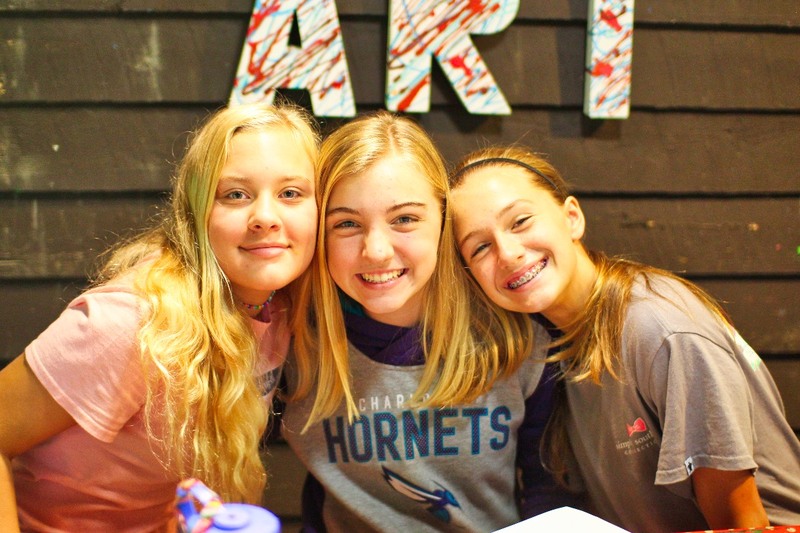 They are a fascinating peek into what we’re up to around here, how happy and busy your girls are, and in many ways, how it feels to be at Rockbrook. Spend 2 minutes to watch the video. You’ll be glad you did. The other day a father said to me that the break from technology use, particularly the break from “being on a smartphone,” that camp provides is “one of the best things about it.” While I was sympathetic, as I think most parents are these days —all of us wishing our kids weren’t so tightly tethered to their phones— I was surprised this dad had singled out this camp policy as a benefit. It’s odd that there’s something many of our kids use everyday during the school year, that when taken away, it’s considered a good thing. 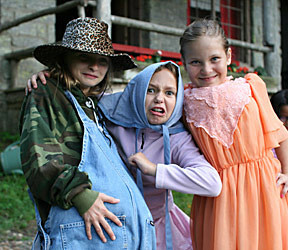 Why Rockbrook prohibits smartphones at camp is obvious in some ways. 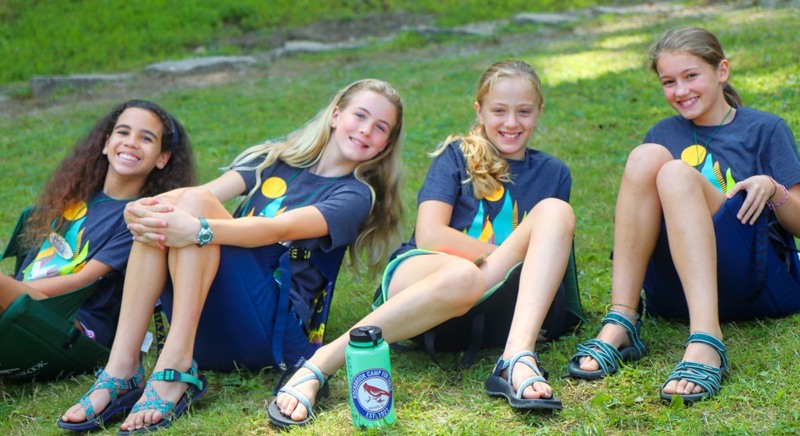 We want girls to focus on camp, not be concerned about what’s going on otherwise. For example, being able to communicate with friends and family “back home” could lead to more severe bouts of homesickness. For many, the allure of their smartphone would be a distraction from, if not a serious impediment to, all that camp has to offer. 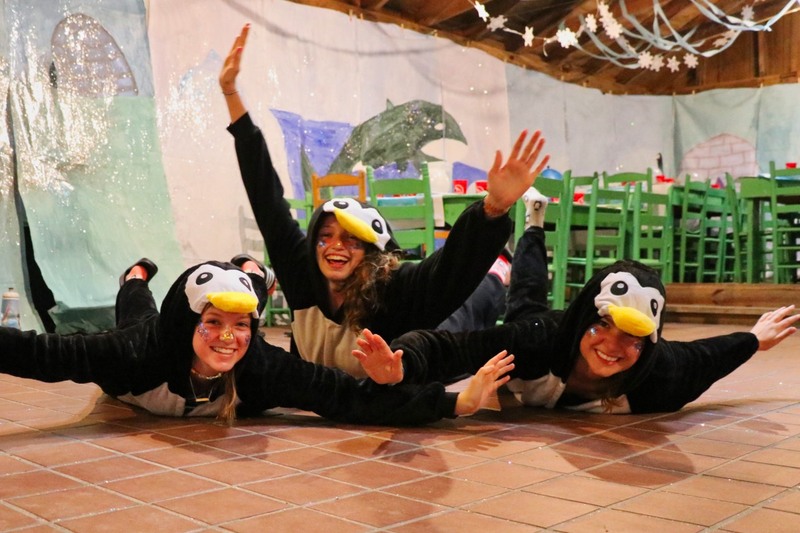 Camp life means bodily inter-action with real friends, stimulating exploration of the natural world, the challenges and rewards of living in a close-knit community. It doesn’t take much imagination to see how this is the opposite of the virtual, filtered and idealized world portrayed on our tiny screens. But I think this dad was implying something more serious. Perhaps he was expressing the hunch many of us share, namely that our smartphone use is causing personal damage, something like smoking was for a previous generation. There are consequences lurking among the conveniences. We’ve already seen this argument being made, that smartphone use, particularly among adolescents, is a public health concern. For example, Professor Jean M. Twenge has attributed the high rate of teenage depression and suicide, anxiety, unhappiness and loneliness to current smartphone trends— particularly as social media has become a substitute for face-to-face socializing. I wrote about this last summer. a significant weakening of self confidence. I believe too much time residing in the virtual world of the Internet, ingesting the narrowness of social media posts, relying exclusively on passive electronic entertainment, and limiting one’s knowledge of the world to what’s been edited, photoshopped, or curated according to unspoken biases, are habits that sow feelings of doubt, inadequacy, and often anxiety. There’s an inherent distortion to what is learned from these sources that make one’s personal abilities, possessions, even appearance seemed flawed or deficient. I think there’s real power here, and over time, who we are can be shaken and our confidence undermined. For young people who are at a critical time in their lives when they are developing a sense of self, I think the negative effects can be even more severe. Using your phone can too easily be a crutch, an escape from challenges, a constant lifeline effectively crippling one’s sense of independence. You can see why using this technology can become a habit; it’s what comforts you when things get tough, and while that may satisfy, it can likewise create further anxiety that deep down you aren’t capable. This seems to me to be a dreadful consequence. So yes, it is an important benefit to camp life. 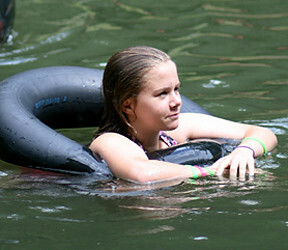 Ditching technology not only allows our campers to focus on camp, to boost their independence living away from home, and to engage the real world and real friends, it also gives them a break from the confidence killing forces that come with smartphone use. 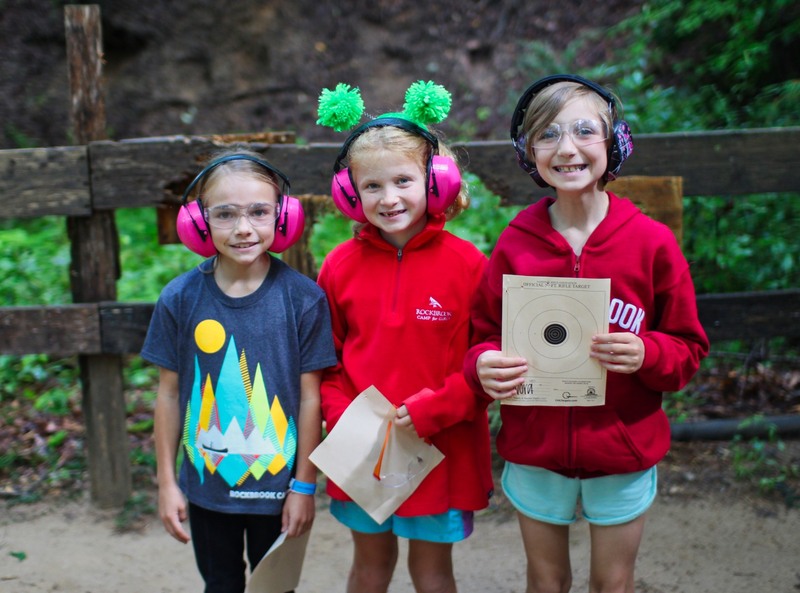 Camp life boosts girls’ confidence, and excluding technology is an important part of that process. All of this makes me wonder what we should be doing the rest of the year when the communication benefits of smartphones are too important to give up. There seems to be no choice but to accept the negative consequences that come with the technology. At the very least, if we recognize those consequences, we might protect our children when they are most vulnerable by limiting their access to smartphones, and providing them more camp-like experiences. 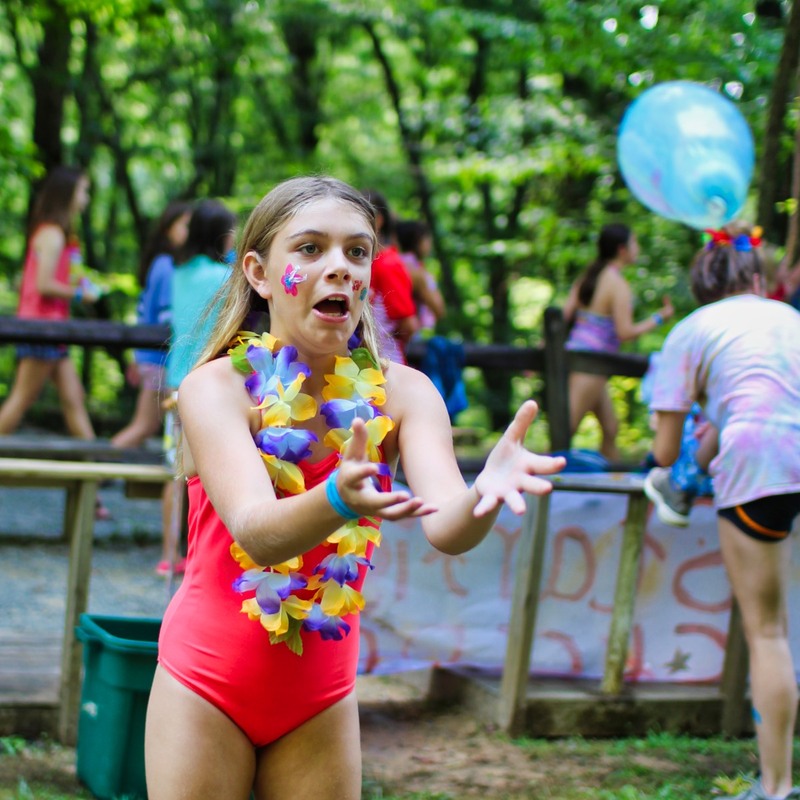 We know why camp is great. Let’s do more of that. It’s only been a few days into the session, and already it’s clear that camp life is the good life. A casual stroll around the camp, really at any time, proves it. 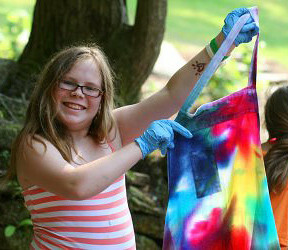 We have happy girls everywhere, engaged caring counselors, and genuine enthusiasm spilling out of every activity. It’s remarkable too how quickly this positive momentum has appeared. 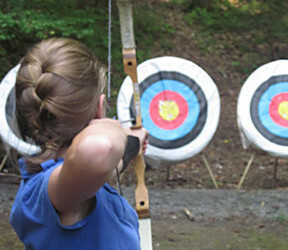 You see it at archery when the girls cheer for each shot that hits the target, at the Alpine Tower when a camper makes it to the top platform, and at Curosty when the looms vibrate from quick fingers at work. 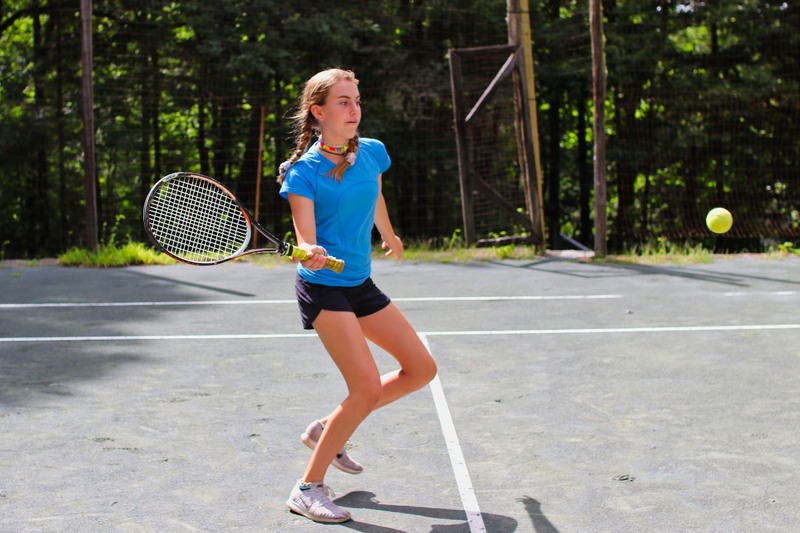 The poses at Yoga, the canoe strokes at the lake, the backhands on the tennis courts, the careful protocols and aim at the riflery range —together, there seems to be a natural rhythm to camp now. It’s fascinating to see all this relaxed, comfortable and confident activity. 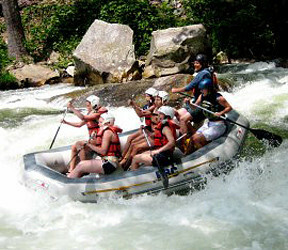 There also has been tremendous interest in the adventure trips being offered each day. When the staff announces a trip, the girls have been literally running to sign up. 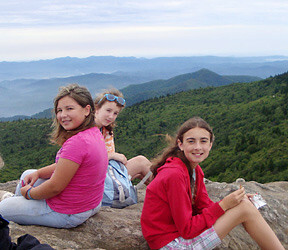 There’s been so much interest in overnight backpacking, for example, we’ve added more chances to go in the coming days. 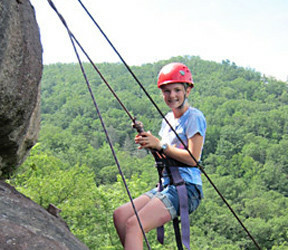 The Juniors have been filling day hiking trips, and tomorrow’s rock climbing outing to Looking Glass Rock will have a full group leaving bright and early. 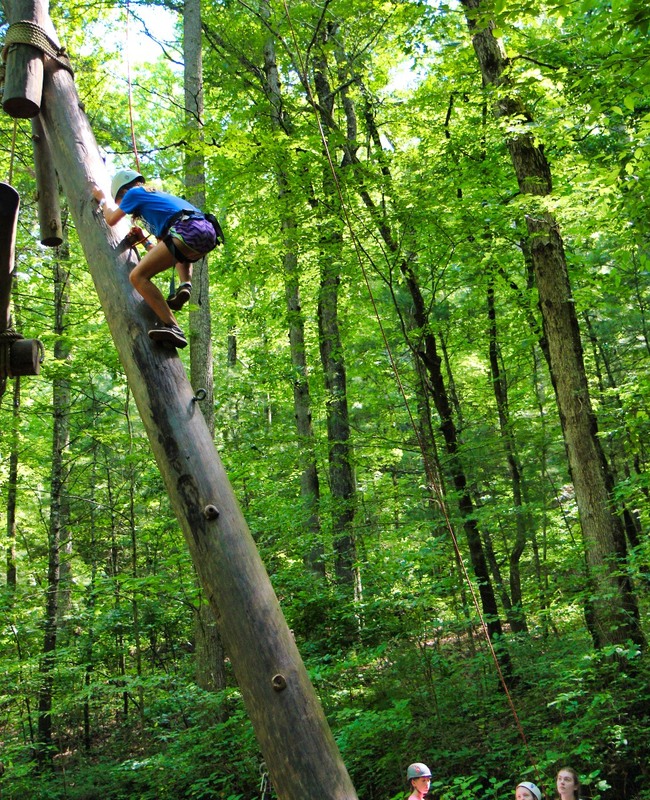 Likewise for the zip line trips: quickly full of eager adventurers. It’s impressive how much these girls are ready for everything camp has to offer! The entire Senior line spent their cabin day evening having a wild time at Sliding Rock. Just before dinner we loaded up all the buses, and drove up to a great grassy spot in the forest for a picnic dinner of hot dogs, Rick’s homemade coleslaw, potato chips and fruit. A quick game of “I’m a Rockbrook Girl” helped digest our meal before driving the short distance to the Rock. Once again, since we were sliding after hours, we had the place to ourselves and the girls could easily get back in line to slide several times. Some slid as many as 6 or 7 times tonight! Back in the buses and after a short drive back down the mountain, Dolly’s Dairy bar was our last stop of the evening. Cups and cones of delicious “Rockbrook Chocolate Illusion,” or some other camp flavor made a nice cap for the fun trip. Keep that snail mail coming. 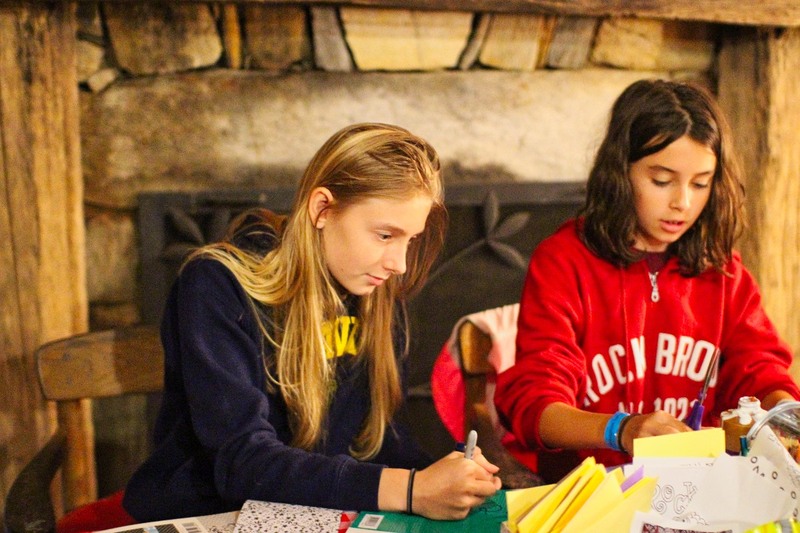 Receiving a true card or letter in their mailbox is a wonderful gift for the girls. Follow the instructions for keeping in touch on this page. 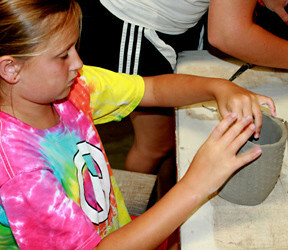 We’ve said it many times before; camp teaches girls to be kind. There’s a kinship, an intensity and closeness, to camp life where sharing this much (meals, chores, songs and laughs, for example) charges up our sympathy and compassion for each other. The camp community, defined by heartfelt relationships rooted in caring and generosity, simply inspires kindness toward others. At Rockbrook, it’s easy to see too. Girls are helping each other in every activity. They’re quick to comfort, support and encourage each other. There’s warmth and affection in every greeting and cheer. Living in this kind of positive community feels really good also. It opens us all up to be more trusting, and paves the way toward greater resilience and self-confidence. Of course, friendships blossom along the way, making everything more fun. Kindness is definitely key at camp. Hooray for #CampKindessDay ! 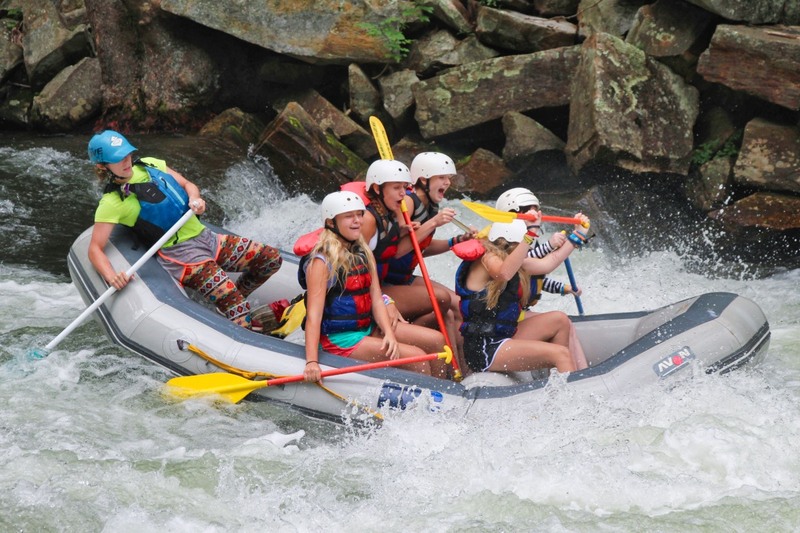 About half the camp went whitewater rafting today on the Nantahala river. One group drove over on Monday to spend the night at our outpost campsite before rafting the next morning. This group had a great time roasting marshmallows over a campfire, listening to the whippoorwills out at night, and battling at least one wolf spider hiding in the rafters of the tent platforms. The second group arrived in time for lunch before their trip down the river. 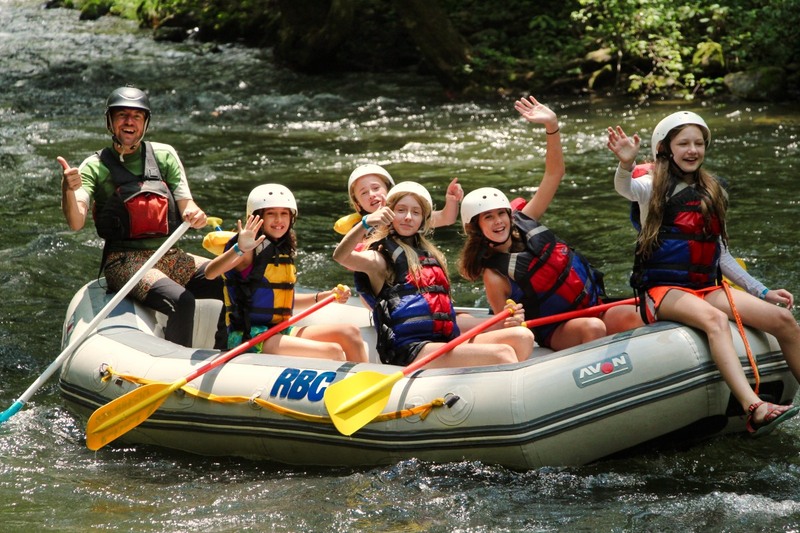 For each trip, six girls, each outfitted with a PFD, paddle and helmet, piled into one of our rafts and with one of the RBC guides steering in the back, bumped and splashed down the 9 mile section of river. The predicted afternoon thundershowers held off until we were on our way back to camp, adding to everyone’s enjoyment of their time on the water. 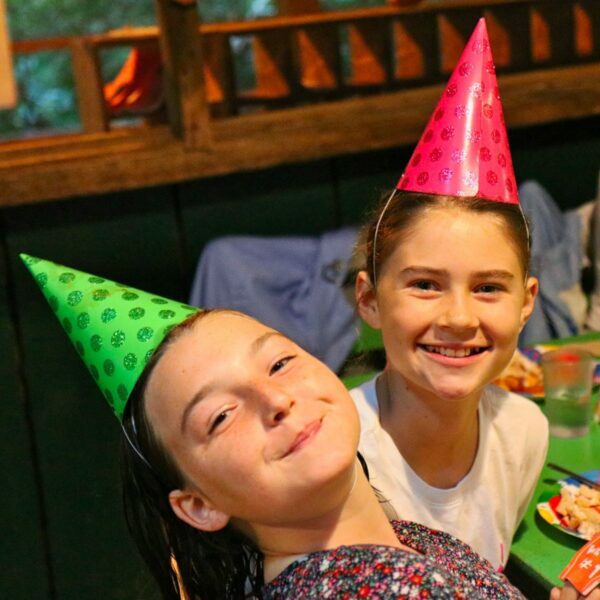 Back at camp in time for dinner, the girls were excite to find out that it was “Birthday Night,” a fun special event where the dining hall is rearranged to allow everyone to sit at a table according to their birth month. 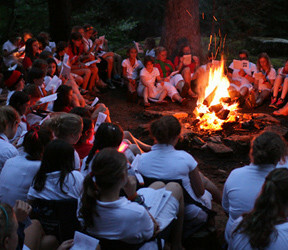 This is always a popular event because it means sitting with different people, staff and campers alike. It’s one big birthday party for everyone at camp, and since there are 12 months, we had 12 cakes, each decorated by the Hi-Ups with colorful frosting and candy designs. Never missing an opportunity to dress up, we also made this party even more fun by giving it a “sports” theme with decorations and costumes based on different sports teams and uniforms. 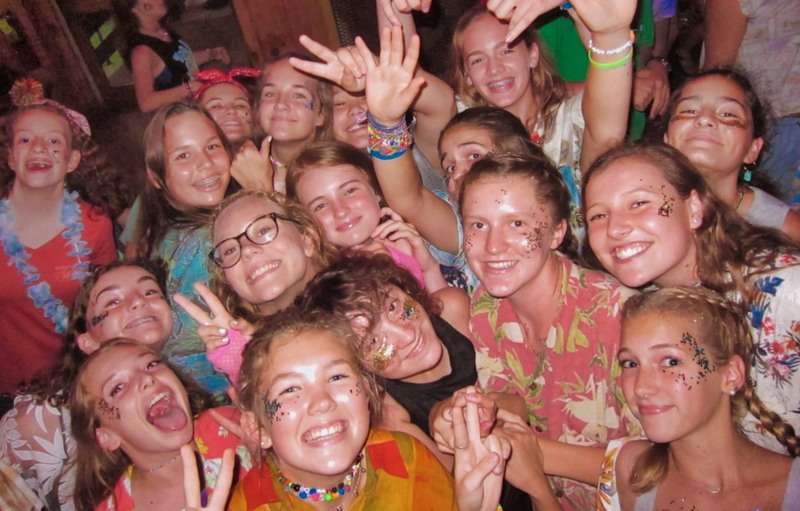 It was a colorful party of good silly fun for the whole camp.